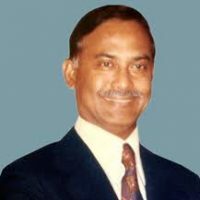 Lieutenant General Ziaur Rahman, Bir Uttam, was born January 19, 1936 in the village of Bagbari in the Bogra District of the northwest Bangladesh. His father, Mansur Rahman, was a chemist working for a government department in Kolkata. Zia’s childhood was divided between living in the village and the city. He was later enrolled into the Hare School in Kolkata. With the partition of India in 1947, Mansur Rahman opted to join the new Muslim state of Pakistan, moving his family to East Pakistan. The family later moved to Karachi, the national capital located in West Pakistan, where Mansur Rahman had been transferred to work for the Government of Pakistan. Zia was enrolled in the Academy School in Karachi. Zia spent his adolescent years in Karachi and enrolled in the D. J. College there in 1953. In the same year, he entered the Pakistan Military Academy in Kakul as an officer cadet. He was commissioned as a second lieutenant in the Pakistan Army in 1955. After serving for two years in Karachi, he was transferred to the East Bengal Regiment in 1957. From 1959 to 1964 he worked in the department of military intelligence. In 1960, his marriage was arranged to Khaleda Zia, a young Bengali girl from the Dinajpur District who was 15 years old. Khaleda Zia remained with her parents in East Pakistan to complete her studies and joined her husband in Karachi in 1965. During the Indo-Pakistani War of 1965, Zia served in the Khemkaran sector in Punjab as the commander of a company unit of 300–500 soldiers. The sector was the scene of the most intense battles between the rival armies. Zia’s unit won one of the highest numbers of gallantry awards for heroic performances. Ziaur Rahman himself won the distinguished and prestigious Hilal-e-Jurat medal, and his unit won 2 Sitara-e-Jurat medals and 9 Tamgha-e-Jurat medals from the Army for their brave roles in the 1965 War with India. In 1966, Zia was appointed military instructor at the Pakistan Military Academy, later going on to attend the prestigious Command and Staff College in Quetta, where he completed a course in command and tactical warfare. 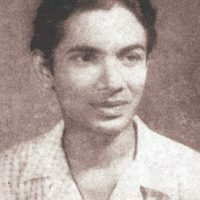 Advocating that the Pakistan Army make greater efforts to recruit and encourage Bengali military officers, Zia helped raise two Bengali battalions during his stint as instructor. Trained for high-ranking command posts, Zia joined the 2nd East Bengal regiment as its second-in-command at Joydevpur in 1969. Although sectarian tensions between East and West Pakistan were intensifying, Zia travelled to West Germany to receive advanced military and command training with the German Army. Zia returned to Pakistan the following year, and witnessed political turmoil and regional division. East Pakistan had been devastated by the 1970 Bhola cyclone, and the population had been embittered by the slow response of the central government. The political conflict between Sheikh Mujibur Rahman’s Awami League, which had won a majority in the 1970 elections, the President Yahya Khan and West Pakistani politician Zulfikar Ali Bhutto had brought sectarian tensions to a climax. Sheikh Mujib laid claim to form a government, but Yahya Khan postponed the convening of the legislature under pressure from West Pakistani politicians. Bengali civil and military officers had alleged institutional discrimination through the 1960s, and now distrust had divided the Pakistani Army. 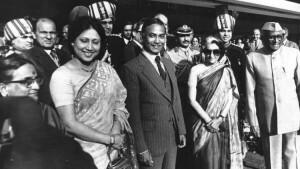 Upon his return, Zia attained the rank of Major and was transferred to the 8th East Bengal regiment stationed in Chittagong to serve as its second-in-command. He was the President of Bangladesh from 1976 until 1981 and founded the Bangladesh Nationalist Party (BNP), one of the two largest political parties in the country. His widow, Begum Khaleda Zia, has been Prime Minister of Bangladesh three times and is currently the Leader of Opposition in the Jatiya Sangsad (Bangladeshi parliament). He is popularly known as Shaheed Zia, meaning martyred Zia, in reference to his assassination in 1981. 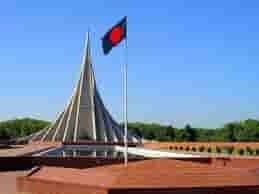 During Liberation war in 1971, a Major in the Pakistan Army, Zia’s unit (2/5 East Bengal Regiment) took control of the Kalurghat radio station in Chittagong and on behalf of Bengali nationalist leader Sheikh Mujibur Rahman, made the most widely transmitted declaration of independence of Bangladesh which was the third and last in a series of such declarations. Recognized as a war hero, he was honored with the second highest national award Bir Uttom in 1972. A high-ranking accomplished officer in the Bangladesh Army, Zia was appointed chief of army staff in course of dramatic events that evolved following the assassination of Sheikh Mujibur Rahman in 1975 by a group of junior military officers. This was followed shortly by another coup and counter-coup and ultimately led to the consolidation of power under Zia as Deputy Chief Martial Law Administrator. The counter-coup, sometimes referred to as a sepoy mutiny was organised by the socialist Colonel Abu Taher. 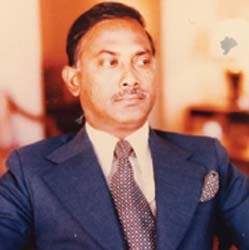 Ziaur Rahaman assumed the office of the President of the country in 1977 and won a popular referendum held in 1978 in support of his policies and leadership. He engaged himself in politics by floating a political party that came to be known as Jagodal. Later he founded the Bangladesh Nationalist Party. Zia won widespread popular support for stabilising the nation and leading it in a new direction. Zia who turned out to be a right-wing politician, established free market economic policies in a 19-point program of industrialisation and development. For achieving popular support, he adopted policies bringing the government increasingly under Islam, which he included in the national constitution. A popular leader, Zia was assassinated in – May 30, 1981 in an abortive military coup.